These were characters my buddy Fredd and I played in a Victorian Era monster-stomping campaign back when I lived in Darkest Iowa. My character, Professor J. Hamish Broadstead, was a cantankerous entymologist and arch-skeptic who was obsessive about debunking the supernatural. 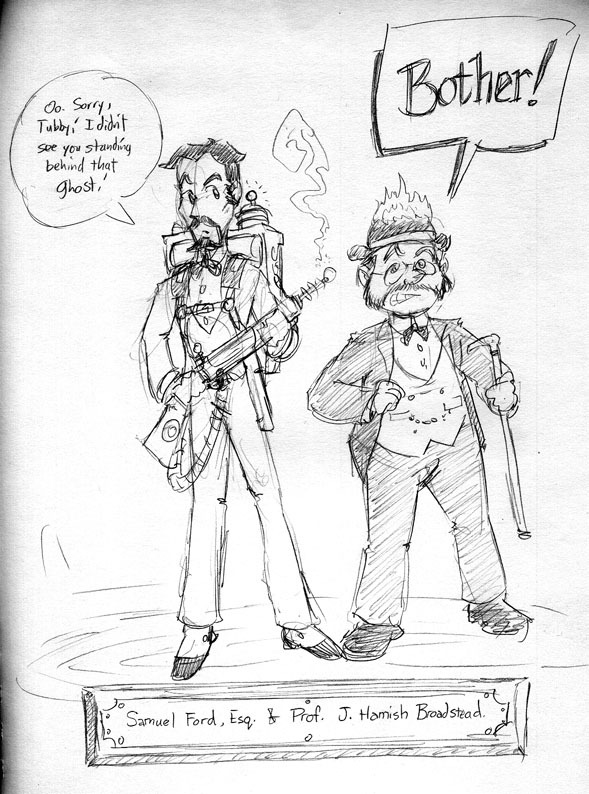 Fredd described his character, Samuel Ford, as “Peter Venkmann with a steam-powered proton pack.” A fraudulent ghost-hunter and amateur inventor with a “ghost-killing” lighting gun. Add a skeptic, a charlatan and genuine ghosts and vampires, and you have a recipie for comedy.